Your business information appears on your customer receipts and your customer’s card statement. Using your correct business name (i.e. not the name of the business owner) and contact information helps your customers recognise your receipts and charges on their card statement, thereby preventing chargebacks. There are two ways to review and edit your business details. Please note that you can only change your business name via your PayPal account online. Open the menu and tap in your business name. Each user can only be logged in once at any one time and a card reader can only be paired to one mobile device at any one time. 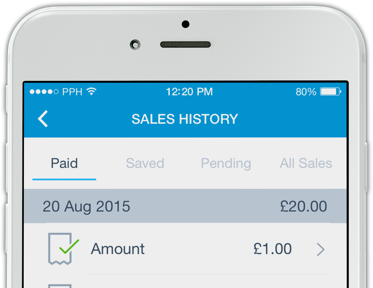 You can also login to your PayPal account online to see your sales history and to generate sales reports. 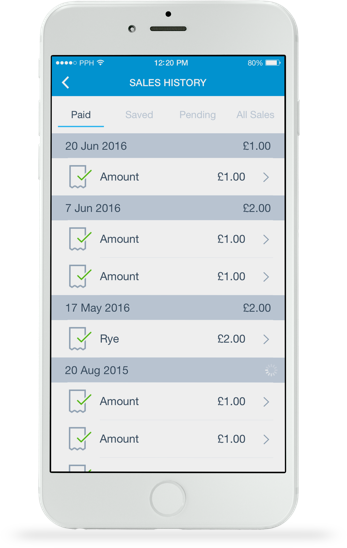 You can use PayPal Here to view and download aggregated sales reports broken down by time period, payment type and product. You can access this Customer Information by looking up the transaction in your Sales Activity and Sales History reports. You cannot create an overview of your customers or download a full report with all your customers. PayPal Here is certified by Visa® and Mastercard® and complies with the highest security standards: PCI PTS S-RED 3.0, UKCC, EMV Level 1 and 2. End-to-end encryption and Chip & PIN technology is backed by our world-class risk and fraud management systems, so you and your customers can get on with doing business, knowing that all financial information is handled securely. 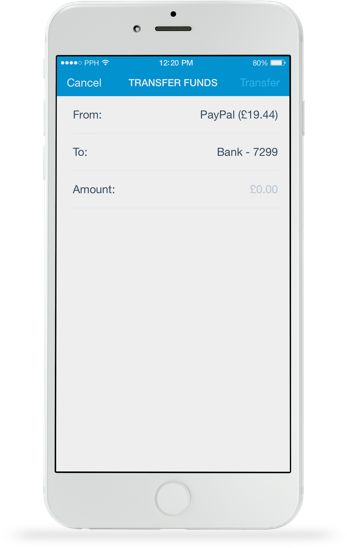 You can transfer money from your PayPal balance to a bank account linked to your PayPal account (log in at paypal.co.uk to link and confirm your bank account if you have not done so already). Sales made using the Chip & PIN or contactless functionality of your card reader, go into your PayPal account straight away from where you can then transfer the funds into your bank account within 2 hours or spend it online direct from your PayPal account*. As a PayPal Here merchant, you may be subject to Reserves, which is money set aside in your PayPal account to help ensure that you’re able to meet any liabilities that your business might incur. Reserves may apply to all funds received into your account, or only to specific payment types. We will let you know during the sign-up process whether there are any reserves on your account. We’ll also send you an email with the specific details of your funds availability, and you’ll be able to see these details in your account at any time. Any reserves placed on your account will be dependent on the characteristics of your business or your account. We regularly review the reserve settings on all PayPal Here accounts and may adjust them over time. A record of good performance and no disputes or chargebacks can lead us to reduce the reserve settings on your account. 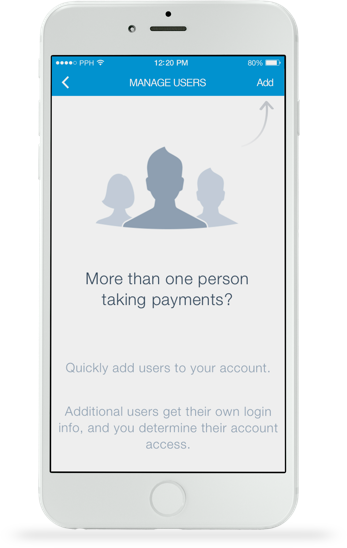 There are no monthly fees or fixed terms with PayPal Here. The card reader is a one-off purchase and then you simply pay as you go per transaction. 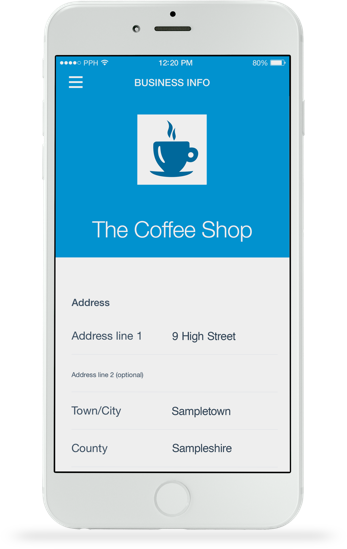 Transaction fees for Chip & PIN and contactless payments start at 2.75% and can drop to as low as 1% based on your total sales volume processed with PayPal. A rate of 3.40% + 20p applies for card payments made by swiping the magnetic strip or manually entering the card details. Amex card payments with Chip & PIN, Chip & Signature, and Contactless functionality are always processed with a rate of 2.75%. Amex card payments made by swiping the magnetic stripe or manually entering the card details are always processed with a rate of 3.4% + 20p. Additional fees such as cross-border fees may apply. See our terms for details. You can also opt into our Interchange Plus fee structure. See our terms for details.